Light is fading fast from the biting February afternoon as the double-decked bus accelerates away from the last of the scattered cottages of the small cliff-top village. The bus gathers speed, begins to buck and twist along the narrow country lane that snakes away from the sea, and Clarrie Evans, settling hurriedly into a front seat, sways erratically with the motion as she fumbles at the buttons of her heavy winter coat with fingers numbed by the cold. Finally undone, she pats at her lap and Abby, needing no second bidding, climbs up and into her mother’s inviting warmth. With her daughter clinging close to her, Clarrie manages a last troubled glance through the misting window and down to the great arc of the bay below. Tearing her eyes and thoughts quickly away, she turns to Abby. ‘Come here, lovely,’ she says, drawing her closer still. For long moments they shiver, shudder, rock tightly together; laughing, almost crying with the aching cold. Clarrie then sets to work on Abby’s arms and hands; rubbing vigorously. She can feel, almost smell, the chill damp in the fabric of her daughter’s coat. She feels it too on Abby’s silky black hair when she straightens her pony-tail and brushes lightly at her fringe with her fingertips. ‘OK now?’ she says, knowing she’s not. Abby nods dutifully, her teeth still chattering. Anxious not to miss the bus, they’d arrived too early at the stop high above the bay and had stood for almost an hour in the insistent wind that came whispering urgently from the sea below. As they’d waited, Clarrie had lifted Abby up and into her arms as often as she could. But small as she is, at five years old, she’d been too heavy to hold for long. Alone at the bus stop, they’d tried stamping their feet and singing at the tops of their voices; hand in gloved hand, they’d tried running across the nearby car park and back. But nothing could stop the deadening creep of the cold. Clarrie shakes her head: whatever had she been thinking? It had been a stupid idea to come. Stupid. Four hours here and four back, and four buses each way, it was far too much for a five year old. It had been such a long day: Clarrie had lifted Abby warm and heavy-eyed from her bed at dawn and they’d been out of the house and on their way even before the milk was on the doorstep. And now they’d stayed too late and wouldn’t be back until well after dark. No, they should never have come. Worse still, John would be home from his shift by now and will have found the note she’d left on the kitchen table. He’ll be worrying. She hadn’t even discussed it with him, hadn’t told him her plan, what was on her mind; she knew he wouldn’t have understood, would have tried to talk her out of it, told her she was being daft, that she was soft in the head. That’s what he’ll say to her the moment she walks through the door, she knows he will. But this day hadn’t been about him, had it? Wasn’t for him. It was for her – a promise she’d made to herself long ago – and for Abby, mother and daughter. Together. Meet Abby again in Mark Haysom’s new novel, IMAGINE. Pale and suddenly sleepy, Abby looks up and forces a smile. ‘Will you tell me a bedtime story?’ she says, her voice small. Clarrie feels tiredness tugging at her. Abby snuggles further into her. Clarrie knows that there’s no way she can deny her – not after such a day. And anyway, with luck she’ll be asleep in minutes. She doesn’t need to ask; she knows the answer already. ‘Our princess fairy story,’ Abby says decisively. Of course. It had to be, didn’t it? All day Clarrie has carried them with her – all those Carwen women before her, mothers and daughters. Her mother amongst them, of course – but, most of all, going back to the very beginning of it, Louisa and Eleanor. Her head is still so full of them, she doesn’t trust herself to tell the story aloud. Not today. But she has no choice. She’s told it a hundred times. More. Just as her mother had. And her mother before that. ‘Again,’ Abby says with a small determined nod of her head. She settles Abby more comfortably in her arms and then she begins as she’s always begun. But as she begins, Clarrie can’t help but think about what she’s learned during the day. That it wasn’t so very long ago. Only a hundred years. And that it’s not that far away, not really. Despite the four buses – just sixty miles. And it was certainly no fairy story. ‘Once upon a time in a land far away, in a place called Rhosilli, there lived a beautiful princess and her name was Louisa. ‘She lived in a great castle in a green land of rolling hills, where patchwork fields ran down to a sweeping bay of golden sand that fringed a gently lapping sea. ‘Her father, the king, was loved by all his people because he alone, a poet king, protected them with words and song from a giant serpent that lived in the sea just beyond the bay. ‘They knew that all the time the monstrous serpent slept, the land would be rich, the harvest plentiful. But if it were to awake, it would bring storms that would destroy the harvest and cause hunger and suffering throughout the land. ‘So, every day, the king went down from his castle to the bay below and talked softly to the sea, reciting poetry, singing lullabies. And every day the serpent soundly slept. ‘But the king was growing older, growing tired – and he knew the day was coming when he needed to find a poet prince who would be ready to take his place and sing to the serpent when he was gone. Abby shifts in Clarrie’s arms. She sighs. ‘All right, lovely?’ Clarrie says. ‘I don’t like this bit,’ Abby says, eyes still tightly closed. Clarrie smiles: she’d never liked this bit when she was a girl either. ‘Anyway…Louisa and Henry had loved each other always…but before they could marry there was an obstacle to overcome. The king had ruled that Louisa could only wed a man who could keep the serpent asleep. If Louisa wished to marry Henry, there would have to be a test, he said. ‘And all the people agreed. ‘And so it was decided that on a day of the king’s choosing, Henry would come and talk softly to the sea, recite his poems and sing his lullabies. If the serpent slept, Louisa would be his in marriage; if it awakened, then Henry would be banished from the kingdom and would never see Rhosilli again. ‘When the day of the test arrived, crowds gathered and princes from all the neighbouring kingdoms came to witness it. It was a summer’s day and the sky was clear, the sun shone and the birds sang. All was set fair. ‘Despite this, Princess Louisa watched anxiously as Henry came down the steeply winding path from the cliff-top to join her and her father where the sand fringed the sea. This was her man – the man she loved. He must not fail this test. ‘Prince Henry greeted the king with a low bow and knelt before Louisa, took her hand in his, kissed it. ‘He then rose and walked to the water’s edge. The crowd fell silent, held its breath. ‘They were right to be afraid. ‘Because, although Henry was tall and handsome and his voice was true and pure, as soon as he started to sing the serpent stirred, the wind roared, the waves rose and the people cried out in fear. ‘The king, alarmed, stepped forward and quietened the serpent. ‘The people were frightened and they called to the king not to give Henry a second chance. But, for Louisa’s sake, the king relented. ‘Once more, Henry went to the shore and began to sing. But it was no good – because again the serpent began to rise in fury. ‘Only this time, it wasn’t the king who went to the water’s edge to lull the serpent back to sleep. ‘This time, it was a stranger. Tall and dark. ‘The crowd hushed. The stranger sang. And the serpent sank contentedly back into the sea. There is, of course, no great castle of Rhosilli: Clarrie knows that for certain now. In her heart, despite being sent to her dreams so often with the story as a child, she had always suspected it. And part of her had long suspected too that Louisa was no princess, her father no king. The truth, she had discovered during this long day, was much more prosaic. Far from being of royal blood, Louisa Carwen was a farmer’s daughter, from a farm overlooking Rhosilli Bay. She’d been born in the spring of 1833; her father’s name was Brynmor, her mother had died young. Clarrie had uncovered all of this within an hour, in the thin worn pages of the ancient parish register. With the help of the rotund Reverend Griffiths, who she’d come across in St Mary’s, the small proud village church, she’d traced the family ancestry through the entries of the Carwen births, deaths and marriages, scratched in ink through the generations by a succession of unfamiliar hands. Even then, she’d been reluctant to finally let go of the fairy story. It had been so much part of her life. ‘Perhaps,’ he said doubtfully, his voice low and kind. ‘But she was certainly no princess,’ Clarrie said with a self-conscious shrug and a small laugh. The Reverend Griffiths had raised a puzzled bushy eyebrow. ‘Princess? No, I think not,’ he said, walking with her and Abby to the church door. At the door he’d hesitated. ‘But there is perhaps something about Louisa you should know,’ he said. The Reverend Griffiths bent to put a friendly hand on Abby’s shoulder – but she shrank from his caterpillar eyebrows, his florid cheeks, and hid behind her mother’s legs. ‘You need to pay a visit to Catrin Edwards,’ he said, straightening, pointing to a small white cottage in the crook of the road, overlooking the bay. As she and Abby walked hand in hand towards Catrin’s cottage, Clarrie had tried to make sense of what she’d discovered. They had been in Rhosilli for just an hour – and it had taken only that long for the story she’d lived with for a lifetime to be revealed for what it was. Myth, fantasy, lies. Every rational bone in her body had always told her it had to be like this. What else could a story of princesses and serpents be? But still she couldn’t help but feel some disappointment. It was their story, somehow it had survived through all those generations, handed down, mother to daughter. And not every family has their own fairy story, do they? So some truth must surely be at the heart of it? She considered what she now knew: Louisa may not have been a princess – but she was real, she had existed. And the village, this scattering of cottages clinging precariously to the cliff-top, was much as she had always pictured it. And so too was the long breath-taking golden sweep of the bay below. So, that much at least was true – Louisa, the village, the bay. And there was something else. Something extraordinary, magical. 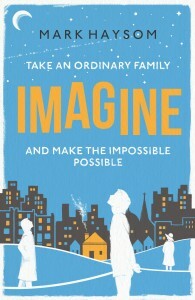 Meet Abby again in IMAGINE. Clarrie had seen it as soon as they’d got off the last of their four buses. She’d gone running towards it, Abby’s hand in hers, laughing, pointing. The serpent had always been the one part of the story that simply couldn’t have been true. And yet here, ridiculously, it was! Large as life: larger even than in her imagination as a child. It was an island – thanks to Reverend Griffiths, she now knows that it’s called Worm’s Head – a long fat-bodied, snake-necked serpent of an island, its head rising from the sea. As the bus lurches inland along the now high-hedgerowed lane, Clarrie turns it all over again in her mind. So Louisa really had existed and there was a serpent, of sorts. Abby stirs in her arms. ‘You stopped the story,’ she says accusingly. ‘You’re too sleepy,’ Clarrie says. ‘No, I’m not,’ Abby says, stifling a yawn, fighting her eyes. ‘So…Princess Louisa’s heart was broken. She knew that her father wouldn’t let her marry Prince Henry and, worse, he would force her to marry the tall, dark stranger. ‘She would have no choice. For the sake of the kingdom, the harvest, the people, she would have to be with this man who could keep the serpent slumbering. ‘And she would never see Prince Henry again. ‘And so it came to pass that Louisa said a tearful, desperate farewell to Henry and, within days, she was married to the stranger, tall and dark. ‘He was a nobleman from far away. His name was Morgan Thomas – and although he was a poet and had a voice that could still the serpent – Princess Louisa knew she could never love him. Her heart belonged to Henry. ‘Despite this, for the sake of the king, of the kingdom, she stayed loyally by his side. ‘Six long years passed and, in the first of those years, a daughter to Louisa and Morgan was born. Clarrie, pauses, looks her daughter in the eye. Smiles. Abby squirms, giggles, pushes her mother’s hand away. ‘But then one day, when Eleanor was five years old, something happened that was at once devastating and astonishing. ‘It was devastating to Eleanor that she had lost her father – but for Louisa, it was, she believed, a final astonishing chance of happiness. ‘She had done her duty and married according to the king’s wishes. But now, at last, she could go to Henry, be with the man she loved. ‘She went to the king and told him what she planned. ‘But the king wouldn’t hear of it. He fell instantly into a rage. ‘Her place was to stay in the kingdom, he said. They would find another who could keep the serpent asleep, and she must marry him. ‘Louisa begged her father. But he wouldn’t listen. And the more she begged, the more his fury grew into a storm. “No, father, no!” Louisa cried. “I curse you with an eternity of ungrateful daughters,” he boomed. “No son will ever be born to you,” he roared, pointing at her, condemning her. “Nor to your daughter and nor to all the unborn generations of solitary daughters to come. Abby is drifting in and out of sleep now. Although she is heavy in her arms, Clarrie is reluctant to move her. She holds her tight, tighter. The idea had frightened Clarrie when she was growing up, an only daughter to her mother. She had never understood it – and she understands it even less now that she has a daughter of her own. She has never known such love. From the day Abby was born, she has been in Clarrie’s every thought; somehow in her every breath. In ways that she can’t begin to fully articulate, she knows that they are bound together – inseparable, indivisible. How can she be a curse? And ungrateful? No, never. As Clarrie was never an ungrateful child to her mother. But one part of the old king’s curse has come true again. There was to be yet another Carwen generation of a single girl child. The hospital tests last month had confirmed that Clarrie can never have another child. Her arms, her heart, ached to hold another baby – and John longed for a son. But it wasn’t to be. When the doctor told her, the first thing that came to her mind was the story, the curse, the king’s words. “No son will ever be born to you,” he roared. And that’s what had finally jolted her into visiting Rhosilli: she’d promised herself long ago that she would come – but she never had. Now, she felt she needed to. Not that she had expected to find any answers, of course – what answers could there be to a fairy story? But she wanted a day for her and Abby. And she wanted somehow to connect with all those Carwen women who had gone before. The news from the hospital had made her one of them now and – although she knew, of course, that she was being fanciful, soft in the head, as John would say – she felt she needed to be close to them. They would know her disappointment, they would understand. Abby’s eyes flick briefly open. ‘The king cursed his daughter … but, despite his angry threats, Louisa knew she could not stay. She had to find Henry. ‘So, that very day she and Eleanor left the castle on foot, carrying just a small bundles of clothes. And all the people lined the village street and watched in silence as they passed. ‘In the following years, mother and daughter roamed through many lands. Everywhere they went, they looked for Henry. But they heard no word of him. ‘As the years passed, their lives grew harder: they were poor and hungry, forced to beg for food, to stay alive. ‘Finally, with a breaking heart, Louisa admitted defeat. ‘She knew they could look for Henry no longer – for Eleanor’s sake they had to settle in one place. And when one day, exhausted, they came upon a small town in a valley far from the sea, where the land was black and the hills were grey, they decided to stay. ‘He was tall and handsome; his voice was pure and true. It was Henry. ‘He had learned that she’d been banished from the kingdom and had spent years wandering far and wide, searching for her, calling her name in each new place he came upon. ‘Louisa heard his call, knew his voice at once. But she hesitated: would he still love her in her beggar’s rags? With her hair greyed from the hardship of the passing years? ‘But fearful as she was, she couldn’t help herself. He had found her; she loved him still. She went running to him and fell into his arms. ‘Do the Abigail end, mam,’ Abby said, suddenly awake. ‘Is that what you call it now?’ Clarrie said, smiling again. ‘Their love then had conquered the king’s curse – and they did live happily ever after. But two parts of that curse did come true. ‘The first was that only a single child was born in each new generation of Louisa’s family – and it always a girl. ‘Eleanor grew up and married a local man, from that place where the land was black and the hills grey, and they had a daughter, Christina. ‘And then in turn Christina had a daughter – and she was Charlotte. And that was my mam. ‘And then Charlotte had a daughter – and she was Clarissa. And that’s me. ‘And finally Clarissa had a daughter – and she’s Abigail. And that’s you! Until today. Or at least, that’s what Clarrie had thought. The bus rolls on along the winding lane. Clarrie closes her eyes – and sees at once Catrin Edwards. It had been a shock. When the cottage door opened, they’d stood in silence, facing each other; Clarrie holding Abby’s hand and Catrin Edwards staring hard. She was a small, stooping, frail woman, dressed in a long black dress and shawl, her grey hair tightly pinned. And there was something about her that took away Clarrie’s words. It was like looking at a photograph – of Christina, her grandmother. As the silence continued, Catrin seemed to be studying Clarrie intently. Clarrie’s first thought had been that Catrin was confused, that she’d mistaken her for someone else. ‘No, you don’t know me—’ she started, smiling, apologetic. Catrin wouldn’t let her finish. ‘You’re not Clarissa Carwen?’ she said. Clarrie had read in stories that, at moments of shock, your blood runs cold: it did now for her, as cold as the wind that came from the sea. How could this woman possibly have known who she was? She’d tried to stay calm, be rational. Reverend Griffiths must have telephoned ahead – that was it. But she had no recollection of giving her name. And she certainly wouldn’t have said ‘Clarissa Carwen Evans’ – it’s a name she’s never fully trusted. Far too grand for the likes of her. Years ago, Clarrie had asked her mother whether she’d ever been to Rhosilli. She’d said she never had, never would. It was as if Catrin could read her thoughts. With that, Catrin turned, leaving Clarrie and Abby on the doorstep. After a moment’s hesitation, wondering whether they should, they followed her in to the warmth of the cottage. In the kitchen, all bustle and smiles, Catrin settled Abby in a chair in front of the fire, poured a mug of warm milk. From a shelf on a low dresser, she lifted a small wax doll in a long creamy white dress and handed it to Abby. It was old, fragile, precious; Clarrie held her breath. ‘Be careful with it, Abby love,’ she said. She and Catrin then sat at the kitchen table, drinking tea. Speaking quietly, so that Abby couldn’t hear. It was Clarrie’s turn to interrupt. ‘Then you know she was a farmer’s daughter,’ she said. Clarrie’s heart leapt, lurched. Another part of the story was true! Louisa’s father was a greedy man, she said, a man not to be denied. She was his only daughter and he had just one son. He used the son as a slave to work the land – and he used Louisa to grow the farm. ‘Morgan Thomas,’ Clarrie said, delightedly. Catrin couldn’t help but smile. Clarrie saw it all now. Catrin hesitated, considered – but finally replied with a small nod. She shook her head, her eyes filling with tears. So that was it. The story explained. Or most of it. ‘But how do you know all this, Catrin?’ Clarrie said. Clarrie was working it out. Clarrie reached across the table and took Catrin’s hand in hers. She’d wanted a connection with all those Carwen women – and here it was in flesh and blood. Still smiling, Catrin squeezed Clarrie’s hand. Catrin’s smile fell away, she leaned across the table, closer to Clarrie. Whispered. Feeling the creep of that chill wind on her flesh again. Progress around the village had been slow but Catrin had insisted on pointing out everything – the house where she was born, the fields in the distance that her husband had worked. They’d gone to the churchyard, found Morgan Thomas’s grave. ‘My great-great-great grandfather,’ Clarrie had said in wonder, her hand going to the headstone. Catrin had then steered them towards the headland that overlooked the bay and the serpent island beyond. As they went beyond the last of the village houses and the broad grassy headland opened up ahead of them, Abby skipped a few yards in front along the path. To the right, sheer cliffs fell away to the sea. ‘We won’t go far,’ she said. 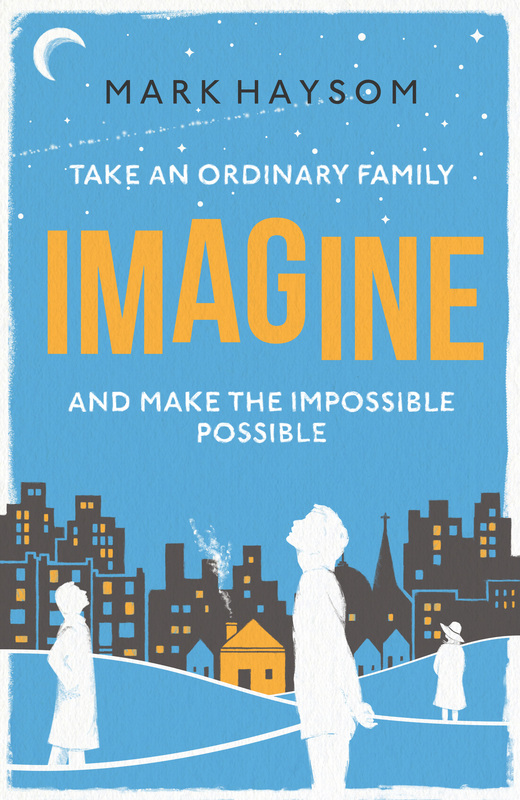 Follow Abby’s story in IMAGINE. She gripped Clarrie’s arm, pointed to a small, semi-circular mound, close to the cliff edge where sheep roamed free, grazing on the grass. So there was a castle, after all. But far from great or grand. The wind whipped at them as they stood looking towards the cliff edge. Clarrie shivered. The wind carried her words away. ‘What’s the one true thing, Catrin?’ she said again. 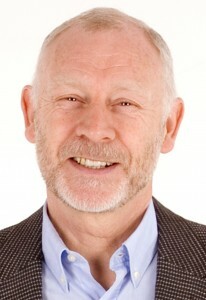 ‘Need?’ Clarrie said, with a small laugh, suddenly nervous, not understanding. Catrin raised her hand, pointed again to the castle. Catrin took her arm again, pulled her close whispered into her ear so that Abby couldn’t hear. Morgan Thomas was tall and dark, Catrin said – but the darkness was not of his complexion, not in the colour of his hair. It was a darkness deep inside. He was a brooding man of terrible violence, with no friends or family. He was a drunken brute who beat Louisa on their wedding night and every day thereafter. All the village knew it – how could they not know when they heard her screams, heard the blows and slaps, saw the bruises on her face? Louisa’s father knew it too – but he would not come between a man and his wife, he said. She must try harder to please her husband. But there was no pleasing Morgan Thomas. For six years Louisa endured those beatings, but then, one day, she knew it had to end. It was the day he raised his fist, not to her, but to Eleanor. The force of the blow had lifted her from the ground. Sent her crashing against a wall. Fleeing the house, leaving Eleanor with her brother, Louisa went to Old Castle and waited. She knew she would not have to wait long before Morgan would come looking for her, his rage fuelled by drink. As he came near, a stagger in his stride, Louisa calculated: she would have to let him hit her once, take the blow, back away, let him come at her again. It was not without risk – she might stumble, might fall to the sea below – but she had no choice. One way or another, it had to end. Coming close, Morgan Thomas swung his fist, sent Louisa reeling towards the cliff edge. Dazed but determined, she pulled herself to her feet, backed away a few feet further. Then he came at her again; bellowing, rushing. And Louisa stepped to one side. Pushed him over the edge. On to the rocks and into the churning waves below. She’d killed him. For her daughter’s sake. As Clarrie had listened to Catrin’s story her hands hand gone to her face, covering her eyes; it was as if she couldn’t bear to see and hear at the same time. She took away her hands now and watched Abby skip – where Eleanor had perhaps skipped, where Louisa had pushed Morgan to his death. She was still trying to absorb it. Morgan Thomas did that? To his own daughter? But there was something she didn’t understand. Catrin’s answer was an abrupt nod. ‘In his way, her father, Brynmor, was as bad as Morgan Thomas,’ she said. Later, at the top of the path that went winding steeply down to the bay, they said their farewells. They stood together, looking down to the long extravagant sweep of the bay. ‘It’s a sight to see, isn’t it?’ Catrin said. ‘It certainly is,’ Carrie said. Clarrie fought back sudden tears, managed to smile. Catrin answered by raising the shopping bag she’d carried with her all the way. She reached inside the bag and lifted out the doll that Abby had played with in the cottage. ‘That doll is a hundred years old,’ she said, straightening it’s dress, passing it to Clarrie. The tide was far out and the walk across the packed sand was long. At the water’s edge Clarrie and Abby stood together. Hand in hand. The wind had dropped, the only sounds came from the gulls working the shoreline, the waves breaking, frothing. For a long while, they stood side by side in silence. And then, although she hadn’t planned it, hadn’t thought about it until that moment, Clarrie suddenly found herself singing. A song to the sea. It was the song her mother had always sung to her. Abby looked briefly up at Clarrie as she sang, a question in her eyes. And then, answering the question for herself, she looked out to sea. To where the serpent slept beyond the bay. Afterwards, walking back across the sand, Clarrie wrestled with one of the many questions that had come to her during the day. Why had her mother never told her that she had visited Rhosilli? Was it that the truth was too much for her? Was she somehow ashamed of what Louisa did? Or ashamed that Morgan Thomas could do that, to his wife, his daughter? Or did she simply want to protect Clarrie, to keep the fairy story intact? Clarrie would never know now. Her mother had lived long enough to see Abby born – but not to see her first birthday. Every day, though, Clarrie still talks to her, still hears her voice. She tells her what’s happening in her life, what Abby is up to. She knows John would think it foolish – and she will never let him know that she does it – but it seems natural to her. After all, they’d always talked about everything – why should she stop now just because she was gone? She will talk to her about it later. About Rhosilli. And Louisa. And Eleanor. And about a small wax doll that Abby now has. The road has straightened now and the bus has left Rhosilli far behind. Abby, warm in her mother’s lap, had been dozing; she opens her eyes and a frown settles at once on her face. Clarrie hadn’t realised she was. She quickly pushes with her hands at the hot tears running down her cheeks and forces a smile. She knows it isn’t true – but the tears have surprised her. Why is she crying? Some of the tears, she knows, will be for the empty ache in her left by her mother; for never again being able to feel her touch, never having her arms around her. She knows this because there have been so many secret tears for her in the last few years. So many that she wonders whether they will ever stop. But it’s not just that. Not this time. It’s suddenly, overwhelmingly, everything from this long day. She is crying for what brought her to Rhosilli – for that other empty ache, for the son she knows she will never have. And she’s crying for Catrin – for finding her, for the feel of the grip of her hand on her arm, for the warmth of her cottage, her hot whispered breath in Clarrie’s ear. And not just for Catrin, but for all those Carwen women. Louisa, Eleanor, Christina, Charlotte: strong women, holding fast to their daughters; daughters holding fast to their mothers. She’s crying too for the small wax doll that Abby is now nursing in her arms. That a mother, bruised but not beaten, gave to a daughter a hundred years before. A doll abandoned, left behind. And she’s crying because Louisa – or was it Eleanor? – must have decided that their truth was too much to bear. That a swirl of myth and magic and memory was better than heartbreak. So they had taken their story and wound it, twisted it into a tall tale of princesses and castles, kings and curses, songs and sea serpents. Still pushing at her tears, Clarrie suddenly understands something about her family, about herself – that since Morgan Thomas, Carwen women have always looked for safe, reliable, dependable. She had found that in John: a decent, hard-working man, a miner from where the land is black and the hills grey. A few years before him, she’d met her own poet – but she’d turned away from him because she’d feared he might prove wild and unpredictable. But that’s another story, she thinks, perhaps for Abby, perhaps for another day. ‘Stupid, stupid,’ she tells herself, trying to stop. And, suddenly, she finds that all the overwhelming everything that keeps those tears flooding is summed up in a question for herself and for every mother. What would she do for her daughter? Would she do what Louisa did? Would she risk her life for her? Would she kill for her? She holds Abby fiercely tight. Of course she would. Of course. Thank you, Sylvia. I’m glad you’ve enjoyed the stories. TL: Enjoyed reading your story, Mark…from a mother who has only one daughter, who herself only has one daughter… strange !! TF: What a beautiful story! MD: Just finished reading it, lovely story…..
PW: Great story real page turner . TC: Lovely story. Thank you . MM: Fabulous story. Loved it. MC: A page turner that ended too soon!! AW: Can’t wait for the next one! MS: Brought a lump to my throat as a mother to an only daughter. This is very thought provoking. Thank you, Mark. Ten years ago, I lived close to a family who believed in a curse that seemed to cause fatal accidents in every generation, in the male line. I believe that it is not the curse but the story itself that keeps the curse going. If Abby decided not to tell her own daughter this story, then she would be able to have more than one grandchild. I think it’s belief in the curse that keeps it going, not the curse itself. So maybe if Eleanor had not made up the fairytale, her grandfather’s curse would have simply been empty words. So interesting. I haven’t read anything like this.